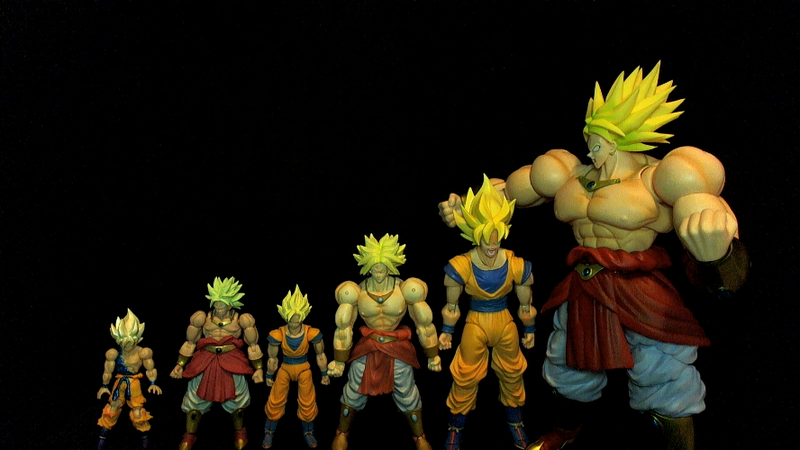 Yeah Broly is too small for the Neo goku but i think he is just right for the first wave of shodo figures. Here's an extra bit of size comparisons for you guys. I already ordered the bardock one woohoo! cant wait for it come ! Here's some reviews for anyone who's interested. Really impressed with these little guys. The mold detail is amazing (Broly is clearly has the best sculpt) and the poseability is fun! It's disappointing they don't come with more accessories but their articulation is top-notch! Much better than figures that are taller than them! For those who buy a box at someplace like BBTS ($50), you get six figures (two of each) so they roughly are about $8.33 a piece. Is 16 dollars a good price for a shodo bardock? That's double the price of the figure. They're about $8.33 each on Western markets. Here's a review for anyone that wants it. this figures are absolutely awesome! So much quality into such a small and cheap product! I sure hope to see more of those. Just picked up Vegeta and Frieza.. hope I can get the others.. and that they release some more! Anyone knows anything about their future plans? Im just so happy with this line hope it keep going. As of right now, I don't believe they've announced anything new. Of all the things, the snap at the beginning of all your reviews with the figure always makes me smile. It's cheesy, but I love it. Also the scale displays you do are always super useful! Have you guys seen the Shodo Neo Super Buu for preorder? Looks like the best articulated Majin Buu so far besides the figuart prototypes.